Extending the appeal of the world’s best-selling electric car, Nissan have unveiled the new Nissan LEAF e+, contributing a new powertrain with added power and range. Since the 100% electric model from Nissan went on the market in 2010, more than 380 000 LEAF vehicles have been sold across the globe. 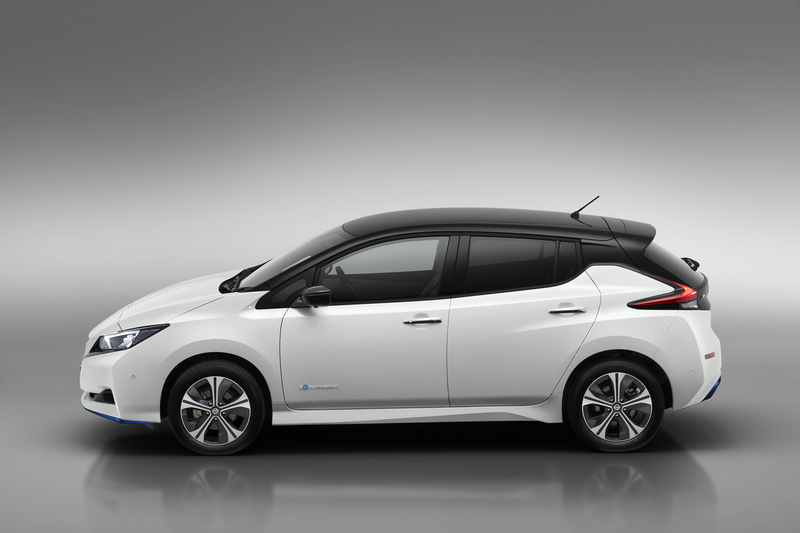 The LEAF e+ has increased energy density in the model’s battery pack, with a higher output in the powertrain. To ensure that there’s a Nissan LEAF to meet the requirements of a wider range of customers, the new powertrain adds 40% to the car’s range. The LEAF e+ also comes equipped with the ProPILOT semiautonomous driving system and e-Pedal mode which assists in one-pedal driving. This embodies Nissan’s Intelligent Mobility - the company’s vision to change how cars are powdered, driven, and incorporated into customers’ lives. Nissan pioneered the mass-market need for electric cars when the LEAF was launched, and further contribute to alternative transport options. Nissan, together with the LEAF range, have created an “EV ecosystem” in an effort for customers’ lives to have more electric vehicles and energy systems. Some of these include Nissan’s initiative to find an easier way to connect to energy systems that charge their batteries, power homes and businesses, to essentially feed energy back to power grids, and new attempts to reuse batteries. Nissan has three keys areas of Intelligent Mobility: Intelligent Power, Intelligent Driving, and Intelligent Integration. The LEAF e+ excels in each of these areas. With the ability to do more between charges, and meeting many customers’ needs with its capacity to reach a range of up 322km, while producing a close to silent, smooth and responsive acceleration; the latest version of the LEAF’s powertrain delivers energy efficiency and powerful torque, while the LEAF e+ offers a range of up to 458km – 40% more! The LEAF e+ aims to give the driver the confidence to pass slower vehicles with ease, exit corners more seamlessly, and merge with fast moving traffic easily. The top speed has been increased by 10% for comfort with cruising. This is credit to the high-capacity battery and more powerful motor which works together to emit 160 kilowatts of power and 340 Nm of torque. Not only does this aid to faster acceleration when driving at fast speeds, but it is nearly 13% quicker than the LEAF. Nissan LEAF e+ owners can expect a 25% increase in energy density, and 55% larger energy storage capacity, despite having almost the same size and configuration pack as the Nissan LEAF. The Nissan LEAF e+ also boasts more efficient charging times from the new Quick Charging System. Nissan LEAF e+ owners will also see similar charging times from being hooked up to a 100 kW charge as the LEAF owners see with a 50 kW charger. All Nissan LEAF owners will also be thrilled to know that their battery limited warranty of 8 years or 16,000km (whichever comes first) is valid for all versions. Nissan’s Intelligent Driving ProPILOT will make your time on the road more efficient with various features to make your driving safer and less stressful while driving on the highway in heavy and flowing traffic. ProPILOT is an in-lane semiautonomous driving technology that automatically adjusts distance between you and the vehicle ahead, by making use of a speed set by the driver. It can also aid to helping the driver steer and keep the vehicle in its lane. Once coming to a full stop after using the ProPILOT’s ability to to automatically apply brakes if necessary, the vehicle can stay in place even if the foot is lifted off the brake. ProPILOT can switch on again and resume driving if the driver touches the steering wheel or lightly presses the accelerator. Not only can the Nissan LEAF’s e-Pedal allow the driver to start, accelerate, decelerate and stop using only the accelerator pedal, the pedal on the LEAF e+ has been reprogrammed to match its additional power and mass for smoother and more rapid deceleration, making it easier to stop even when reversing. Nissan have taken all aspects of safety into consideration and every Nissan LEAF can be purchased with advanced technologies that include Intelligent Lane Intervention, Lane Departure Warning, Intelligent Emergency Braking, Blind Spot Warning, Rear Cross Traffic Alert and Intelligent Around View Monitor with moving object detection. New Nissan LEAF owners can now make use of the NissanConnect smartphone app, to execute tasks such as monitoring the state of charge, set up full beneficial charging, find the closest charging station, and heating or cooling the car prior to driving. Over and above this, some additional features include Door-to-Door Navigation, where the vehicle’s navigation system can be synced to a smartphone for driving and walking directions. The Nissan LEAF also has Nissan Energy, making it part of an even larger electric-vehicle ecosystem. The Nissan LEAF e+ carries over a lot of the Nissan LEAF’s design, but embodies some eye-catching elements like the car’s sleek silhouette, with maximised aerodynamics. It has a sporty look, and features Nissan’s signature V-Motion grille with blue mesh, and distinctive tail light design. Some subtle changes that make the LEAF e+’s design stand out include front fascia with blue headlights, and “e+” logo plate in the charge lid. With a spacious, functional interior quality, high tech feel, and the use of premium materials; the Nissan LEAF e+ gives a sense of luxury to an electric car.